Sewell Funeral Home is a family owned and operated business. We have been providing service for five generations. 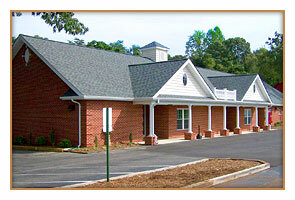 In 2008, the funeral home underwent major renovations to better serve the community. Our new chapel has a seating capacity of 143 people and our viewing/overflow room has a seating capacity of 84 people. Both rooms are equipped to do video tributes and from the viewing/overflow room, you can watch and hear the services that are going on in the chapel. Some of our current services include, but not limited to, traditional and personalized funerals, video tributes, pre-planning, and cremation, memorial, and veteran services. We now offer monuments.